Home / News / Mega Star's surprise for Aravinda Sametha? Mega Star's surprise for Aravinda Sametha? Young Tiger NTR's Aravinda Sametha Veera Raghava is in the final leg of the shoot. Trivikram is leaving no stone unturned to make a big comeback with Aravinda Sametha post the debacle Agnyaathavasi. Now here is the latest gossip making rounds that Bollywood's Mega Star Amitabh Bachchan will appear in a cameo role in the movie. 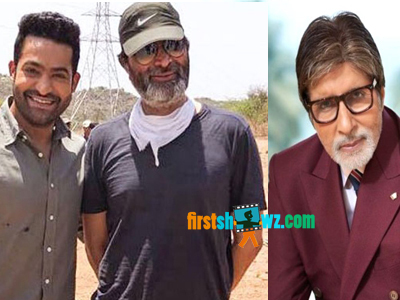 The news isn't official yet but sources from the unit claim that Big B's cameo in Aravinda Sametha is true.